Resh Sidhu is the Creative Director of Framestore’s Virtual Reality Studio in New York. She is regarded as a pioneer in the field of VR and one of the most well-respected names in the industry. A leader in her field, she is one of only a few women world-wide in leadership driving the future of this new technology forward. Resh’s influential work is recognized worldwide as pioneering, continuing to define and lead the Virtual industry. Since she joined Framestore’s VR Studio as Creative Director, the studio has become one of the most prolific and awarded virtual reality studios in the world. Resh's work continues to push the boundaries of interactive design and technology to create experiences that connect with consumers on an emotional level. Resh truly is a one woman creative power house who can come up with innovative ideas. As Framestore's Creative Director Resh’s role extends well beyond the scope of creative leadership, she lectures, leads VR workshops and talks extensively all over the world on designing compelling VR. She is a motivational speaker and leader. More recently she spoke at Cannes Lions 2016 on Harnessing the Power of VR and led a series of innovative VR workshops at The Future of Storytelling Summit with astronuants Leland Melvin, Nicole Stott and Anousheh Ansari. She continues to push the boundaries of the medium with an imaginative application of art and technology to create beautifully crafted VR. She’s a frequent contributing author to publications and was recently named as a leading female pioneer in VR by Marie Claire Magazine. 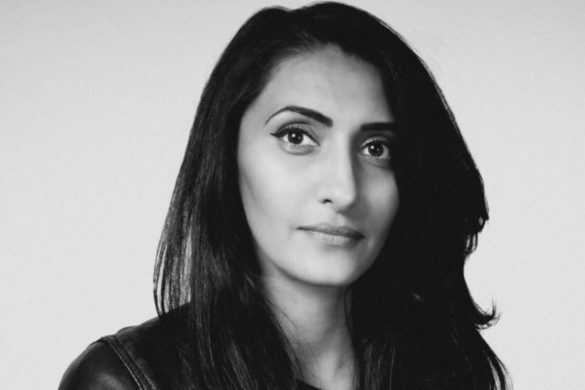 Resh has served on juries for TheFWA, D&AD, D&AD New Blood, IAB creative showcase, AKQA’s Future Lions, SheSays awards, Creative Circle Awards, Net Magazine and The Rookies. Resh is also the author of Virtual-Realms blog, a community centered on the developing creative potential of VR.